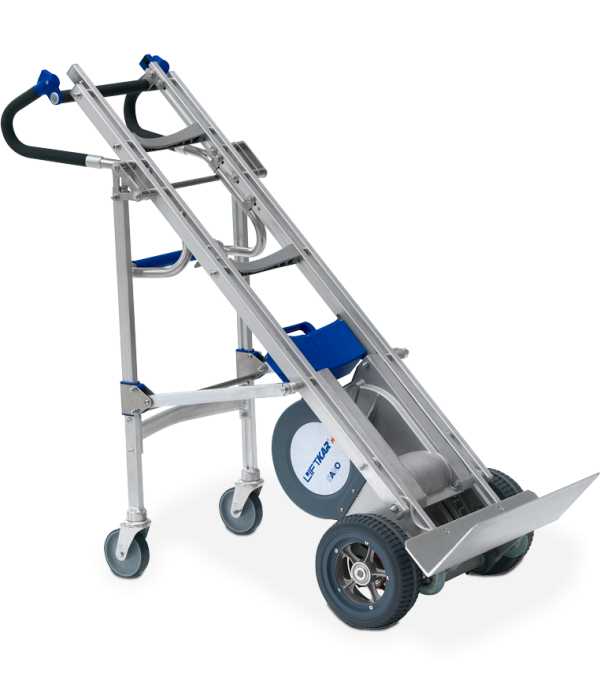 With the LIFTKAR HD you can transport heavy loads up to 360kg quickly and safely up and down stairs. From heavy boilers and white goods through to bulky rolls of linoleum - with the LIFTKAR HD you can easily handle transport problems reliably and quickly. The LIFTKAR HD is an investment that pays for itself very quickly. Where you needed multiple people to help you in the past, now you can manage on your own, without great effort, safely and much faster. The HD is available in the fixed handle UNI version and the folding handle FOLD version. 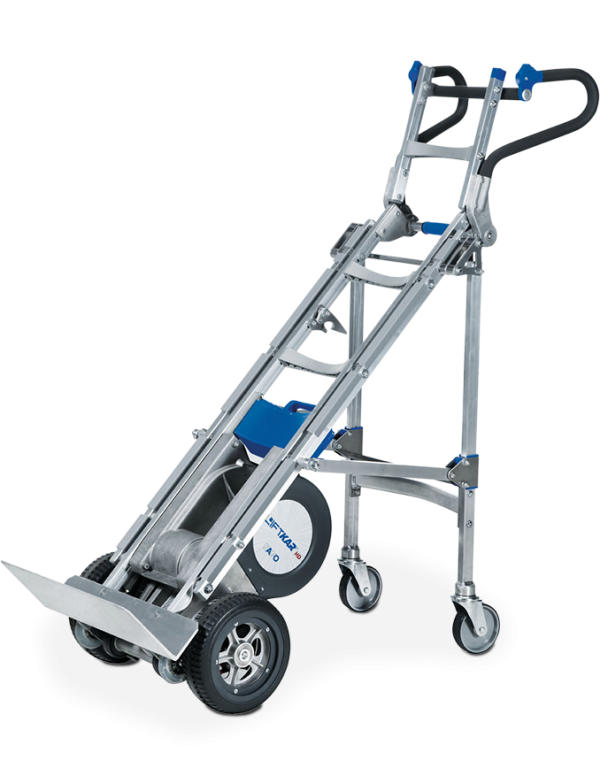 The HD is designed for heavy loads up to 360kg. As standard the HD has a step edge braking system and puncture proof tyres.